For tourists from around the globe, Los Angeles is the city that needs no introduction. The heart and soul of American movie and celebrity culture, this bright Californian location will offer a range of attractions at every corner of the city. Whether you are visiting the world famous theme parks as a family or delving into the heady spoils of fame, travelling the far corners of Los Angeles by car will make for an incredible vacation. 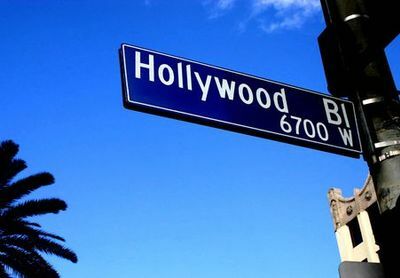 See the locations of television, film and magazines and walk the footsteps of the stars in the legendary Los Angeles. For decades, Los Angeles has been to home to visionaries, so why not visit the instantly recognisable pagoda structure of the Grauman’s Chinese Theatre in the centre of Los Angeles for a taste of stardust. The Hollywood Walk of Fame starting at this attraction features 2400 celebrities from every media immortalised as handprints. For those without stars in their eyes, the impressive Getty Center is the cultural gem of Los Angeles, including paintings by Monet, Van Gogh and Cezanne. The Getty Center also displays the natural beauty of the Los Angeles area, with six modern architectural buildings and pristine garden built in the foothills of the Monica mountain range. Finally, take a peek behind the scenes of celebrity life by walking through the glamorous Beverly Hills. Whether you can afford to shop in the designer boutique stores or not, you can enjoy the scenery of this illustrious zip code. Being a central hub of California, Los Angeles is a huge and sprawling city that is best traversed by car. The Los Angeles airport is just 20 minutes from the centre of the city by car and you can hire a variety of models at the airport itself. Many of the most popular family attractions, including the Disneyland range of theme parks on the Santa Ana freeway, are only accessible by car on the outskirts of Los Angeles. There is also a wide range of national parks and beautiful surfing beaches north of Los Angeles along the Ventura freeway. Los Angeles is well connected with the surrounding areas and cities by a number of freeways, which allow more daring tourists to drive by car to Las Vegas, Nevada, and Tijuana, Mexico, in a number of hours.